The curse of a wicked fairy, one touch of a spindle, and a beautiful princess falls into a deep, enchanted sleep which can only be broken by a kiss from a prince. 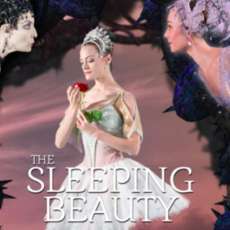 The Sleeping Beauty is transformed into one of the grandest ballets ever created, with a classical score by Tchaikovsky and original choreography by Marius Petipa. Enter the opulent world of Imperial Russian ballet, with its marvellous mixture of virtuoso dance, fairy tale characters and dazzling spectacle that has delighted audiences for over a hundred years. With live music from the acclaimed Royal Ballet Sinfonia,The Sleeping Beauty is an enchanting experience for all the family.